After working as a stringer for the Associated Press for four years, Dan Morrison began working for magazines as a writer-photographer. He has worked in over 31 foreign countries, including five war zones. Since filing his first online feature story from Kenya in 1995, he has published from countries around the world, including Australia, Morocco, Mongolia, and Patagonia. In 2000, Morrison accompanied an expedition to Mt. Everest and filed online stories for more than two months from base camp as the expedition put two climbers on the summit. 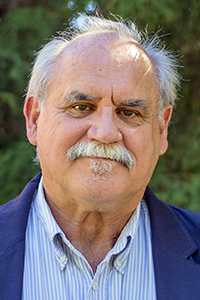 In addition to teaching at the School of Journalism and Communication, Morrison continues his freelance work, which now includes producing multimedia clips for KVAL television’s website.